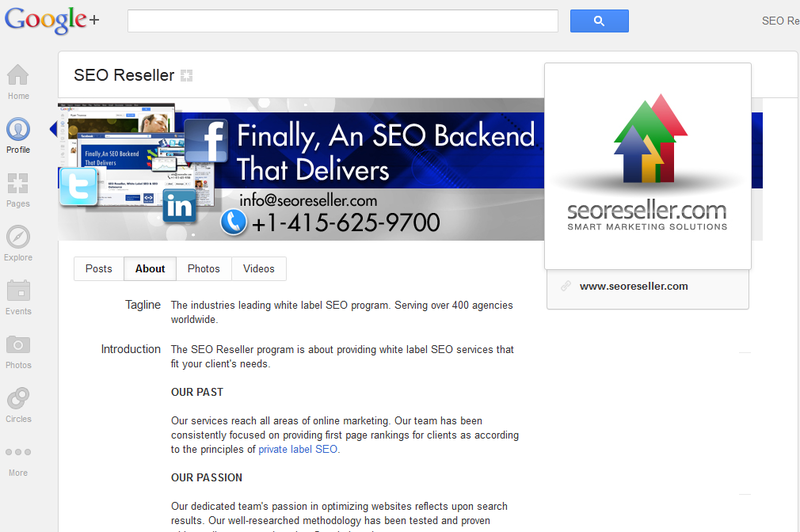 Google is constantly changing the way they rank sites, integrating more and more of social media into their algorithm. You know by now that Google prioritizes results rated or shared in Google+ profiles. I want to talk about the role Google+ plays in influencing your search results, and what we do to achieve social SEO using this powerful social media platform. In the past, when you conduct a search on Google’s search engine, you will get similar-looking results. You will see the website titles, two-line descriptions, and the URLs. Sites ranked based on traditional SEO factors, like content, diverse backlink profile, and proper on-page optimization. Search results today keep the same format, but with one important addition: these results are now linked to Google+ profiles. Google began prioritizing websites that are linked in one way or another to Google+ profiles, whether it’s a personal or a business account. Google SERPs also started showing websites that do not have their own Google+ Profile, but have been shared or rated +1 by other users in Google+. Creating a verified Google+ profile and integrating it into your site puts you high on Google’s priority list when showing search results. They give more value to annotated listings because they have verified the identity of these businesses and can vouch for their relevance to your market’s search. Of course, annotated profiles were just the beginning of Google giving importance to social media influence. Google’s next step was to create a dedicated area on their SERPs page showing Google+ profiles associated with the user’s search. They choose which profiles to display based on the amount of activity, the level and consistency of branding, and the circle sizes each profile has. By keeping your branding prominent and consistent throughout your profile, sharing the latest news and information on your industry, and expanding your social network, we get you on this section of the SERPs, which is located at the upper right-hand corner of the SERPs window. If you find it difficult to rank your site for a high commercial-value keyword, this is another way to rank for those terms. For a Google+ profile to become a successful driving force for rankings, you need to start with creating quality, share-worthy content. Your clients instantly gain social boost once you share the content we provide on Google+. We help you gain more organic links by engaging your clients’ market with informative and up-to-date articles and blogs. Our social media optimization service also helps widen your clients’ network and maintain constant communication with their potential clients. We use Google+ as a lead nurturing tool, engaging people in conversations that lead them to becoming customers. Get started by ordering one of our social media optimization packages and having us optimize your clients’ Google+ profiles. Sign up for free or contact your account manager for additional information and assistance.